In Colorado, Farmers and Cities Battle Over Water Rights In 1985 the city of Thornton, Colo. bought up nearby farmland and water rights from its farms. Now, some of those farms are drying up. 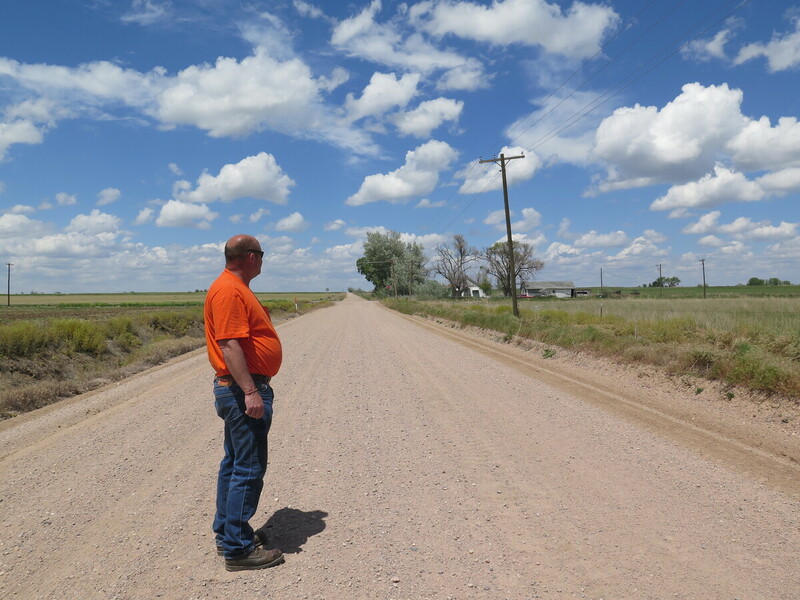 Ault Mayor Butch White stands on a road dividing two farms, one irrigated and one dried up. The City of Thornton is one of many growing suburbs of Denver, Colo. On a day without much traffic, it's only a 20-minute commute into the state capitol, and its new homes with big yards make it an attractive bedroom community. Nearly 130,000 people live there, and the population is expected to keep booming. All that big growth comes with a big need for water. In the 1980s, Thornton placed its hopes in the Two Forks Dam project, which would have provided the city with enough water well into the future. But when that project started to seem uncertain, Thornton started looking for another source. "We essentially embarked on a plan to purchase a large quantity of water rights associated with irrigated agriculture in Larimer and Weld Counties," Water Resources Manager for the City of Thornton, Emily Hunt says. They'd buy a bunch of property with senior water rights, then build a pipeline to get that water to their city. 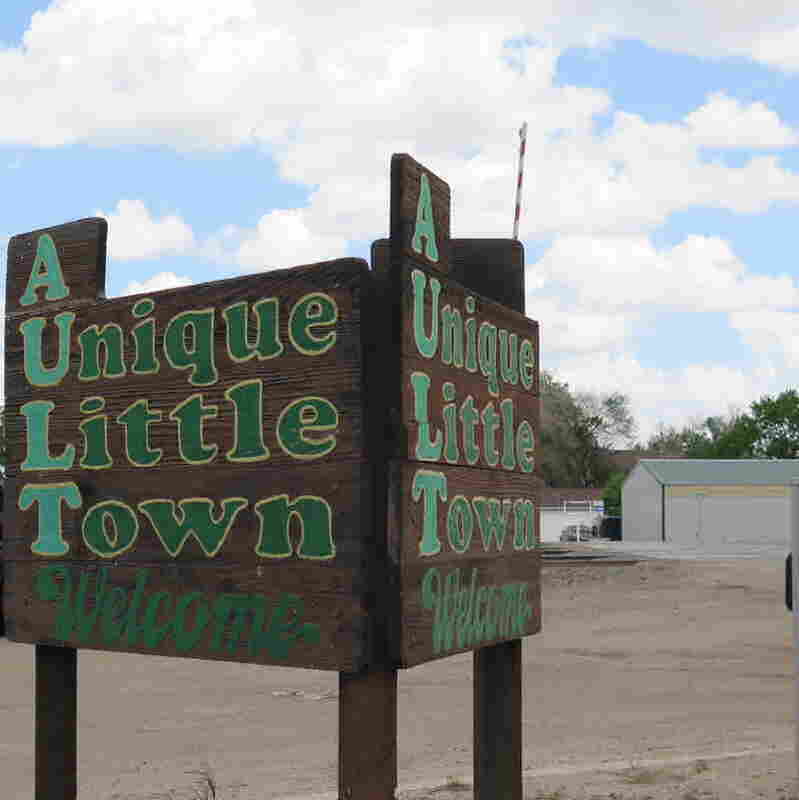 Since 1907, Ault has existed as a farming community. Now, it struggles to find a new identity independent of agriculture. They sent a buyer out, who approached farmers with what seemed like a great deal: sell their land and water rights for above market value now, and continue to lease the same land back and continue to farm. Thornton's buyer ended up acquiring almost all of the farmland that surrounds the small rural town of Ault. And, he purchased on behalf of an anonymous client, so nobody in Ault knew the identity of their new landlord. That town's mayor, Butch White, says the town was outraged when they found out that Thornton, an urban city, was behind the purchases. Some of that anger was because of property taxes — since Thornton is a municipality, it is exempt from paying taxes on all that land surrounding the community — taxes that used to support the local school and fire districts. There was also a deeper reason for Ault's hard feelings: According to Colorado water law, once a water right is converted from agricultural to municipal use, that land is permanently dried out. Irrigation, and therefore agriculture, can never return to that property. And agriculture had supported the town of Ault for a century. This process called "Buy and Dry" is the result of the West's Gold-Rush era water laws that follow a simple rule: first in right, first in use. That means people with longer links to a property, for example, a farmer whose family has been on a piece of land since pioneer days gets water priority over someone who hasn't been there as long. Because all of Colorado's water comes from the Rocky Mountain snowpack, the water flowing in a river is already allocated to its downstream users, and there isn't enough to give to all the area's newcomers. With the population expected to double in the next 40 to 50 years, there is a lot of pressure on the state to find solutions that bring water to growing urban areas without drying up rural communities like Ault. Ault still isn't feeling the full effects of a buy and dry. There was such opposition to the Thornton purchases that the whole deal was in water court for 12 years. Thornton got approval to divert its water shares from Ault, but that came with a lot of stipulations which make the conversion a slow process. And for its part, Thornton believes it has done a fair job of managing the situation. It pays Ault a voluntary payment in lieu of property taxes, and plants native grasses on the dried up farms to prevent dust storms. Eventually, Thornton will build a pipeline to divert water from Ault to their city 60 miles away. Meantime, the farms around Ault will undergo a slow, and sometimes emotional change, as the community comes to terms with a new identity.